﻿ Customize Refractory Anchors, SS 304 Customize Refractory Anchors Exporter. 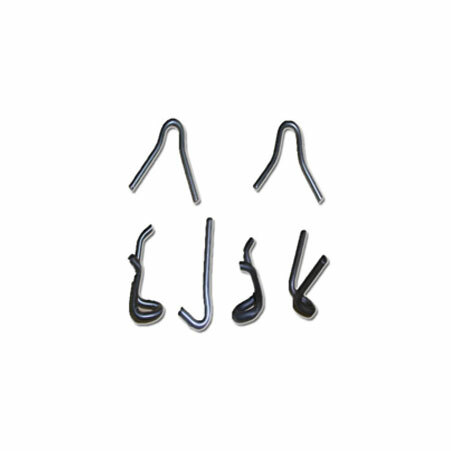 Stainless Steel 304 Customize Refactory Anchors Manufacturer, SS 304L Customize Anchors Exporter, SS 316 Refactory Anchors, SS 316L Customize Refactory Anchors, Stainless Steel 321 Refactory Anchors Supplier In India. Amco Metals creates products that are compliant to international and national production standards, thus automatically guaranteeing their premium quality. We as a company have experienced growth in the past 25 years, only due to our relentless will to improve ourselves and the support of our customers. We are a manufacturer, trader, stockist, supplier and exporter of Customized Refractory Anchors with the basic function to support refractory lining on the shell of industrial furnaces, castable and brick linings, either single or double layered in nature. The customized refractory anchors for the petrochemical, chemical, furnace and cement industry are customised according to the alloy needs of each. 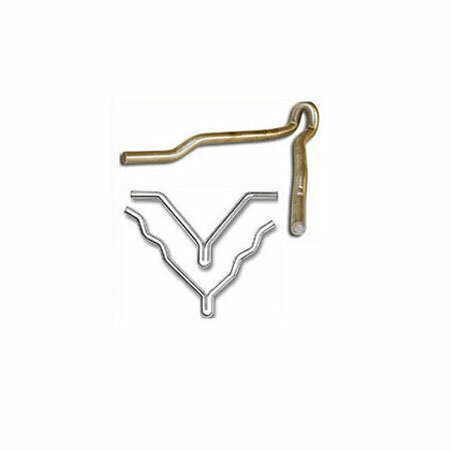 We supply Customized Refractory Anchors for fibre, ceramic and castable linings. 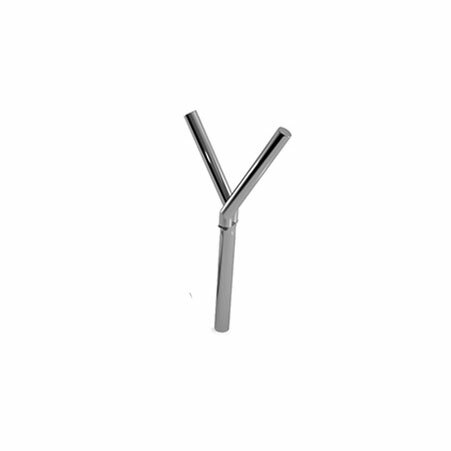 Inconel 600 Customize Refactory Anchors Manufacturer, Incoloy 800 Refactory Anchors Exporter, Incoloy 800H Customize Anchors, Incoloy 800HT Customize Refactory Anchors Stockist, Monel 400 Customize Refactory Anchors Supplier In Worldwide. Bulgaria, Russia, Mexico, Switzerland, Chile, Croatia, Nigeria, China, Poland, Finland, Morocco, Saudi Arabia, Italy, Pakistan, Zimbabwe, Colombia, Oman, Greece, Hungary, Norway, Iran, Kuwait, Libya, Chile, Sri Lanka, Iran, Lebanon, Puerto Rico, Denmark, France, Taiwan, Kazakhstan, New Zealand, Austria, Costa Rica, South Africa, Hong Kong, Argentina, Slovakia, Yemen, Belarus, Ecuador, Bolivia, United Kingdom, Namibia, Bhutan, Trinidad & Tobago,Tunisia, Angola, Vietnam, Nigeria, Philippines, Indonesia, Canada, Afghanistan, Ghana, Peru, Egypt, Thailand, Germany, Bahrain, Ireland, Sweden, Malaysia, Nepal, United States, Iraq, Brazil, Singapore, Tibet, Jordan, Mexico, Israel, Lithuania, Gambia, Kenya, Netherlands, Mongolia, Serbia, Romania, Poland, Venezuela, Algeria, Czech Republic, Portugal, Azerbaijan, Estonia, South Korea, Qatar, India, Ukraine, Belgium, Japan, Australia, Spain, United Arab Emirates, Gabon, Bangladesh, Macau, Turkey. Ranchi, Montreal, Lahore, Bangkok, Baroda, Kolkata, Noida, Dallas, Ahvaz, Geoje-si, Kuwait City, Bengaluru, New York, Algiers, Perth, Cairo, Houston, New Delhi, Brisbane, Faridabad, Muscat, Rio de Janeiro, Lagos, London, Jaipur, Doha, Calgary, Ankara, Al Khobar, Surat, Nagpur, Navi Mumbai, La Victoria, Pune, Aberdeen, Kanpur, Bogota, Ulsan, Colombo, Edmonton, Kuala Lumpur, Ho Chi Minh City, Ludhiana, Riyadh, Vadodara, Moscow, Jakarta, Santiago, Melbourne, Gimhae-si, Madrid, Hyderabad, Chennai, Chiyoda, Rajkot, Jeddah, Busan, Howrah, Thane, Karachi, Indore, Istanbul, Caracas, Pimpri-Chinchwad, Ahmedabad, Hong Kong, Dubai, Atyrau, Milan, Sydney, Seoul, Chandigarh, Tehran, Manama, Al Jubail, Ernakulam, Gurgaon, Visakhapatnam, Secunderabad, Dammam, Mumbai, Nashik, Coimbatore, Granada, Mexico City, Hanoi, Vung Tau, Singapore, Abu Dhabi, Haryana, Thiruvananthapuram, Port-of-Spain, Jamshedpur, Courbevoie, Los Angeles, Petaling Jaya, Toronto, Sharjah, Bhopal.